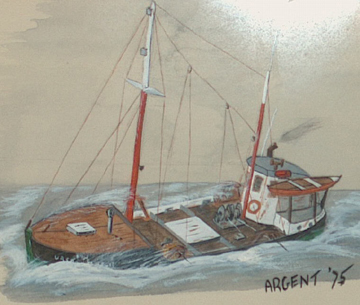 Ken Argent has spent most of his life around the water and as a Master Mariner has served as Captain on a variety of vessels including tugs, supply ships, commercial fishing boats, sailing yachts and power yachts. 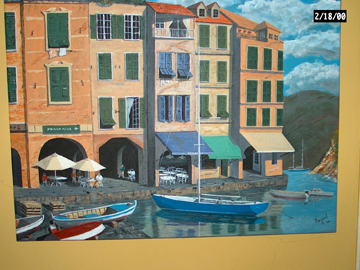 He grew up and was educated in England at a school where the arts were the main focus. 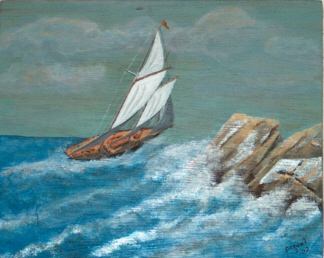 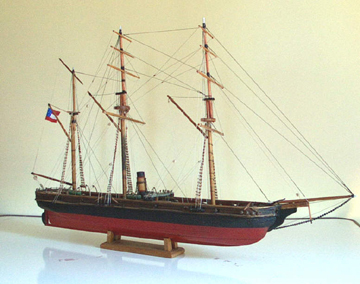 While at sea, and later in his yacht brokerage business, he had little time for his passion of painting and ship model building, but now, having retired from the mainstream, he is able to devote all of his time to creating these works of art. 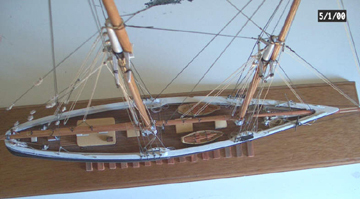 His many years of being on board ships and yachts gives him an insight to the minute details that make his models stand out from the rest. 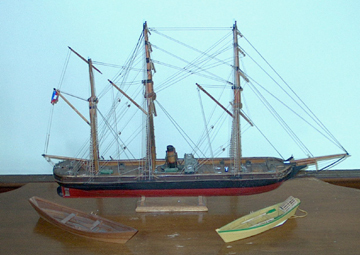 His ship models are all hand crafted and every part of every model will be accurate and in keeping with the vessel he is recreating. 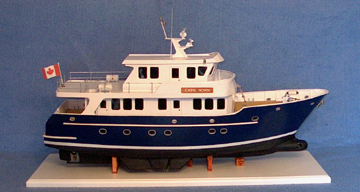 His models include commercial vessels, sailing yachts and power yachts, many of which have been on display at Boat Shows throughout the world. 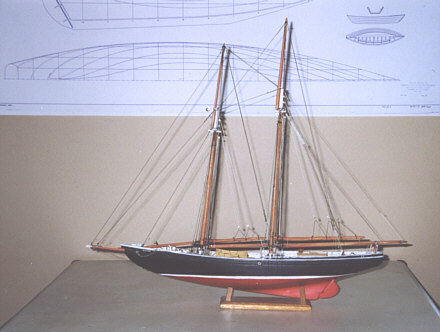 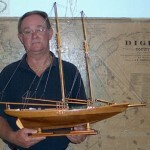 Watercolors and museum quality, scale yacht models and ship models built by a retired ship Captain. 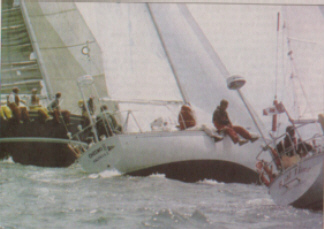 Specialists in power and sailing yacht models. 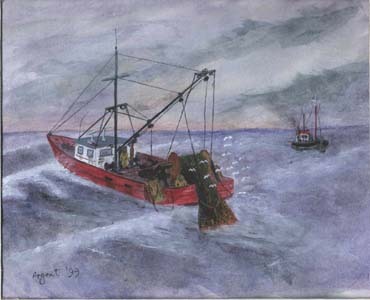 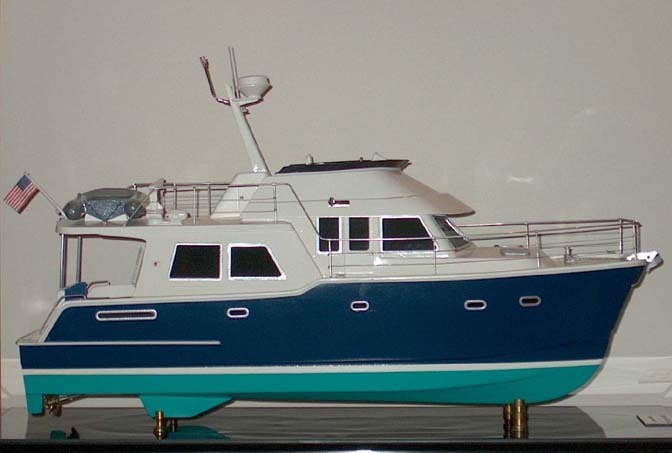 Order a custom model or watercolor of your yacht, fishing boat, tug or any other type of vessel. 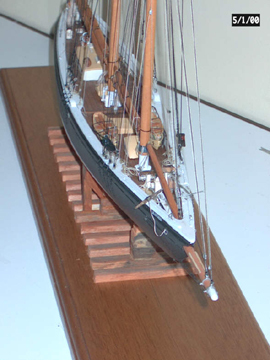 Email, fax or write for detailed information and a quote for your model or painting. 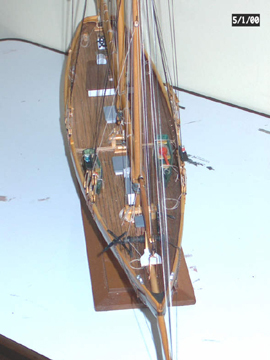 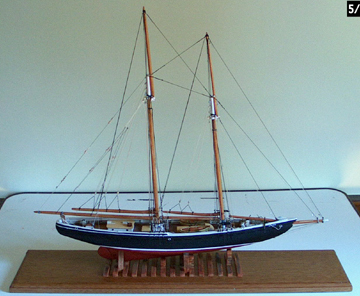 All of the scale yacht and ship models from Water’s Edge Studios are hand crafted from first quality woods and metals. 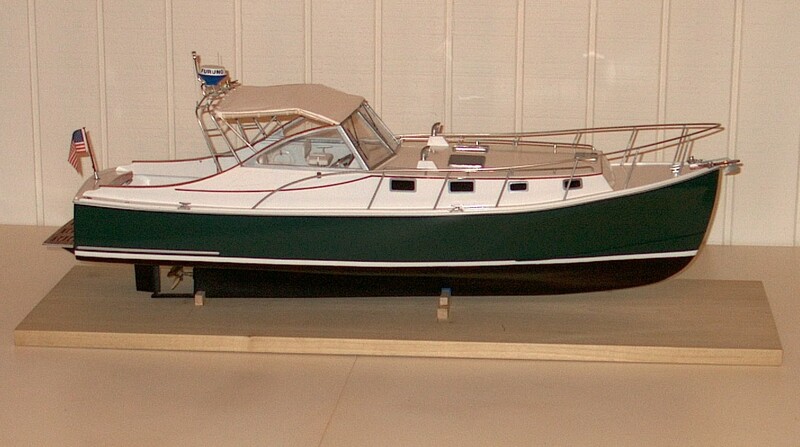 Call or email now for quotes for power and sailing yacht models.